Tsui, Anthony Wong, Denise Ho and Alton Yu plus Connie Chan, organizer (left). (This photo essay is vetted by CNN on . Click thru for details. 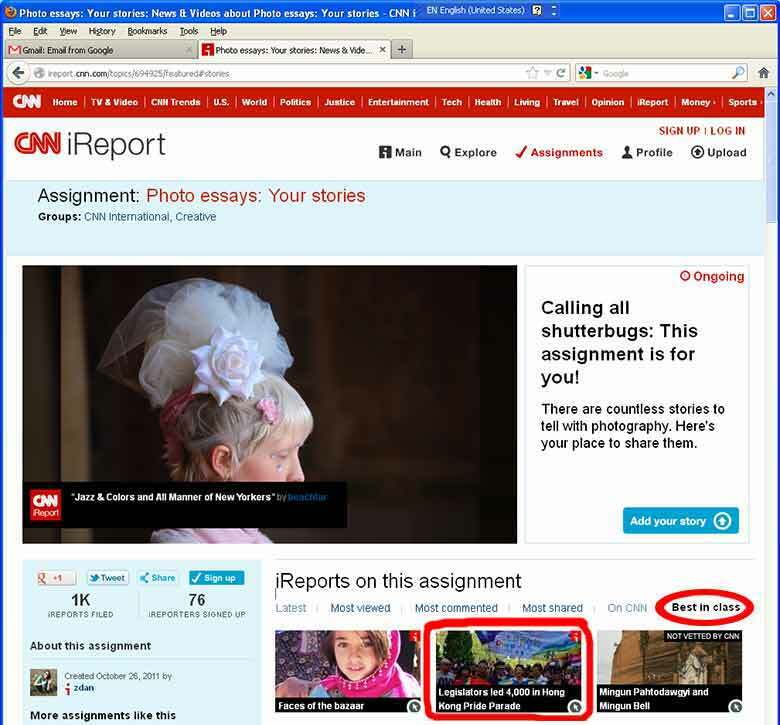 It is on the front page of CNN iReport Assignment: Photo Essays Section and nominated 'Best in Class'. and also on - the award-winning newswire. Click thru for details. Tanya Chan with artist/entertainer celebrities Wyman Wong, Hilary Tsui, Anthony Wong, Denise Ho and Alton Yu. Park to Chater Garden in Central. 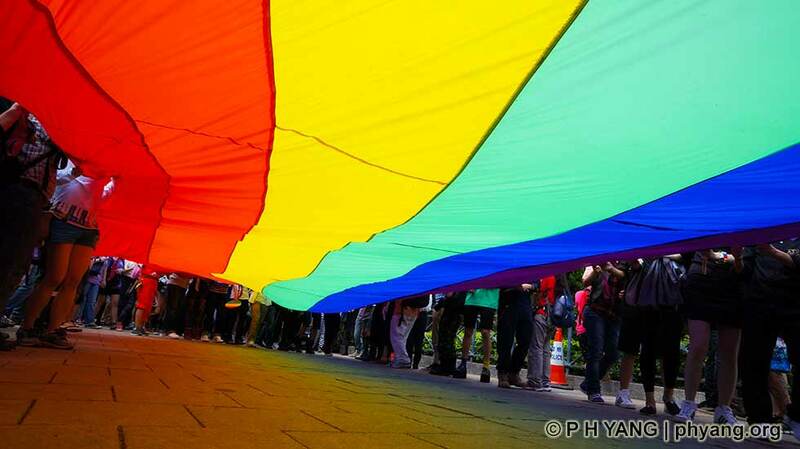 The marchers called for public debate on legislation to ensure equal rights for people of all sexual orientation. 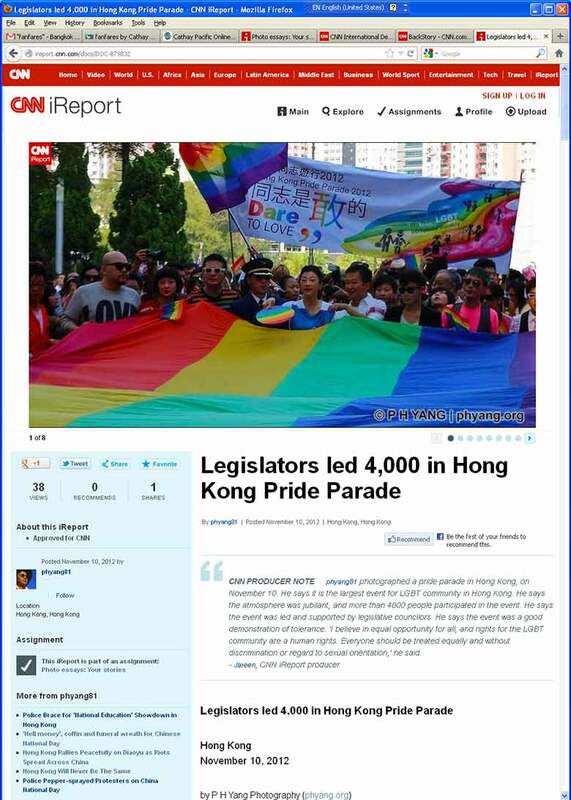 A motion put by legislator Cyd Ho last week on this issue was opposed by conservatives. 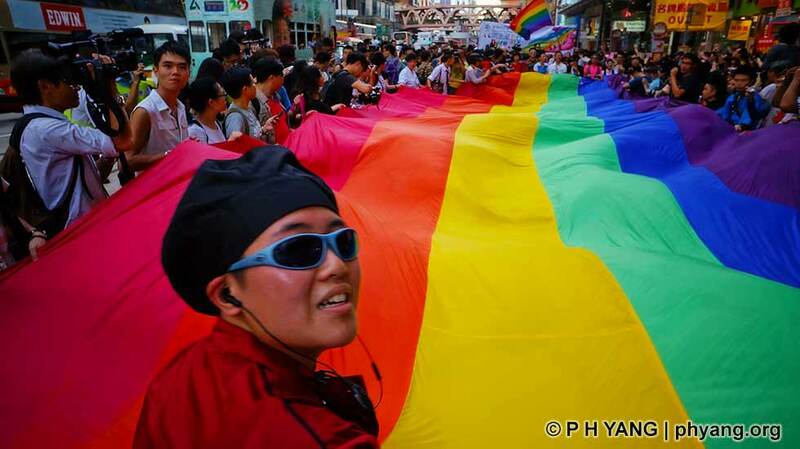 4,000 marched in the Hong Kong Pride Parade from Victoria Park to Chater Garden in Central. 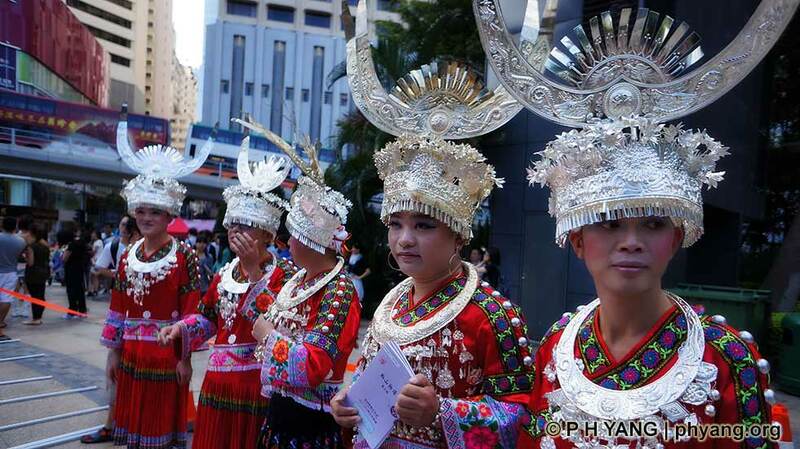 Miao minority support Hong Kong Pride Parade. 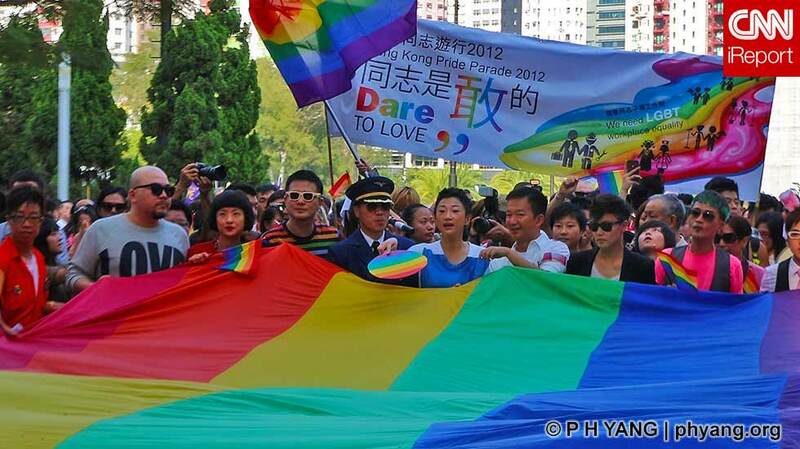 Joe, Grand Marshal, led 4,000 in the Hong Kong Pride Parade. 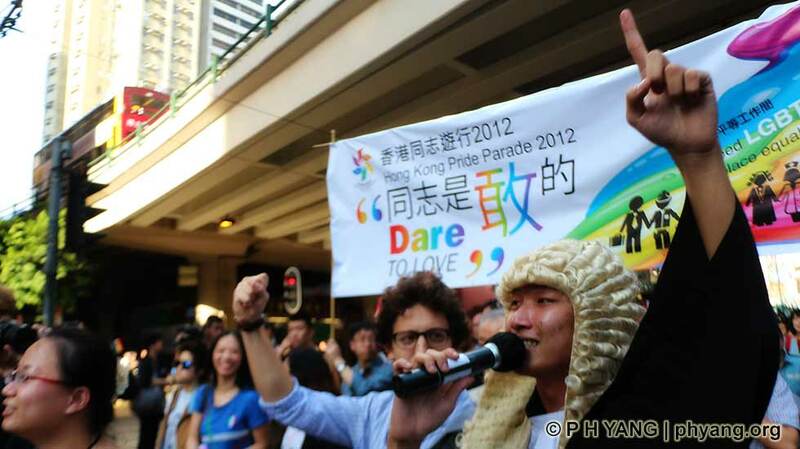 A man dressed as a barrister, donning his professional wig and gown, joined the Hong Kong Pride Parade. 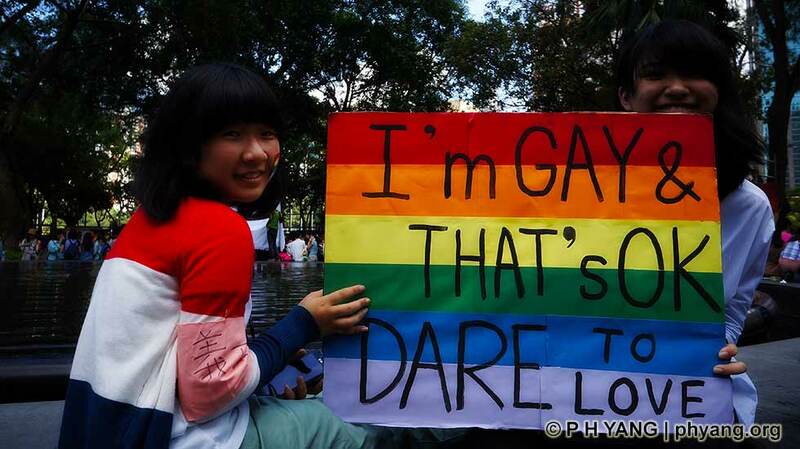 that's OK. Dare to Love!'. 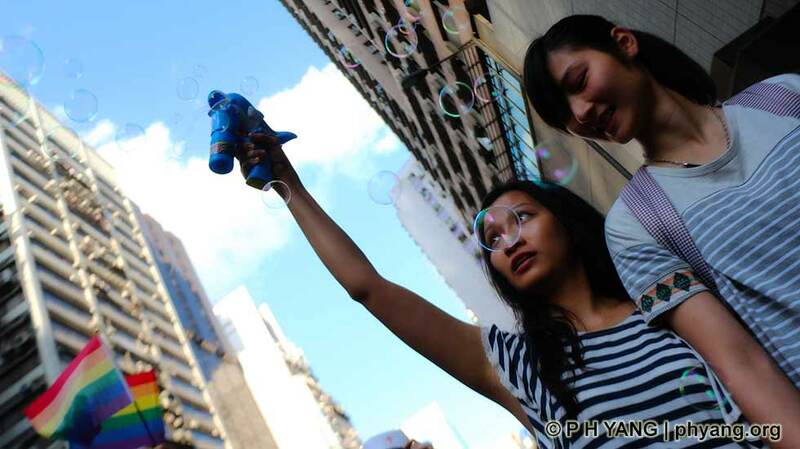 Marchers blew bubbles of hope for the gay community during the annual Hong Kong Pride Parade. 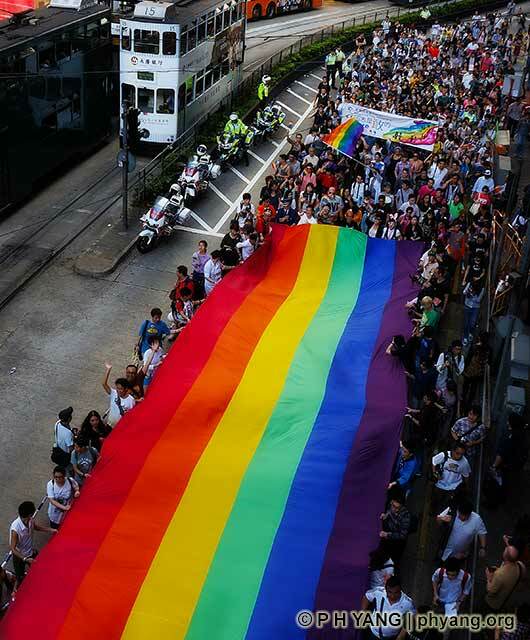 A massive signature rainbow banner led the way during the annual Hong Kong Pride Parade.